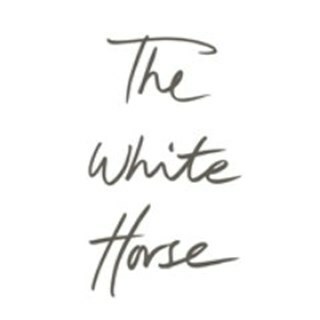 Set in the Paddock Enclosure at Chester Racecourse, adjacent to the Parade Ring, The White Horse is a family friendly Gastro pub with roaring log fires, a wood burning charcoal grill and stone pizza oven - a combination of aromas and warmth that appeals to every one of your senses when choosing from the menu. An accompaniment of traditional beers and wines can be savored in the relaxing atmosphere, all complemented by the easy enthusiasm in which you are served. Lovely location,staff pleasant and efficient,food nice but overpriced! Had a great time, food fabulous as always and visit made special by Holly who really looked after us. She is a valuable asset to your team. Greeted well, service very good and food excellent. Disappointed on dessert, at 7.30pm no crumble left! Our waitress, Ellie was very efficient and most personable. The waitress serving our table did a great job she was very pleasant, attentive, knowledgeable, her service to our table was 10/10 I sorry I can’t remember her name but she was a credit to your restaurant please pass on this feedback to the young lady, we will definitely be coming back. Fantastic roast meal, lovely soup and delicious pudding. Service was spot on and of course, the children could play after. The atmosphere was lovely with good food and good service. Food was amazing especially the Katsu Curry. Table of 16 who had pre ordered our food and still waited 50 mins before eating. No apology from the staff. Menu sent for pre order by email was incorrect and one starter not available  on the day. Had to ask for cutlery to eat dessert and ask for kids juices with their meal twice. Food was lovely but only two roast potatoes. This wasn’t enough for the men on the table. Many many thanks to all the team at the White Horse, we recently attended the Cheltenham gold cup day, we we're a party of 14, the service, staff and food was exceptional, a fantastic day, look forward to seeing you and your team soon, once again many many thanks John and the lads. I chose the WhiteHorse for my husband’s wake. The service on what was a difficult day was outstanding. It could have been awkward especially as the outstanding payment needed to be made but it was far from it. I was stressed as you never know the numbers for a wake and I was sure it was over the allocated 100. The team looked after our needs with the upmost professionalism. For anyone looking to organise a difficult event I would recommend it. Our booking was for 20 people. Including children. Our afternoon/evening was absolutely fantastic. We cannot thank Sam enough for making sure everything ran smoothly. All the staff were great. Food was hot and perfect and most importantly all arrived at the same time. Everyone had an amazing time. Thank you!! The staff  were very efficient and pleasant, Service also was excellent. Great venue and good food. Will consider for race day trip. There was a mix up with our booking. The staff said it was because I'd previously booked online, so my last booking had gpne through instead. All sorted out quickly though.